Vegvísir IT is a one-man IT company, located in the Pays des Collines, Belgium. A Vegvísir (Icelandic for 'sign post') is an Icelandic magical stave intended to help the bearer find his/her way through rough weather. It is my mission to guide you through the complex world of IT and to act as a steady compass. Wether it be on the world wide web or in a professional environment as a developer, I am resourceful and motivated to help you out. Vegvísir IT runs on CouchCMS. 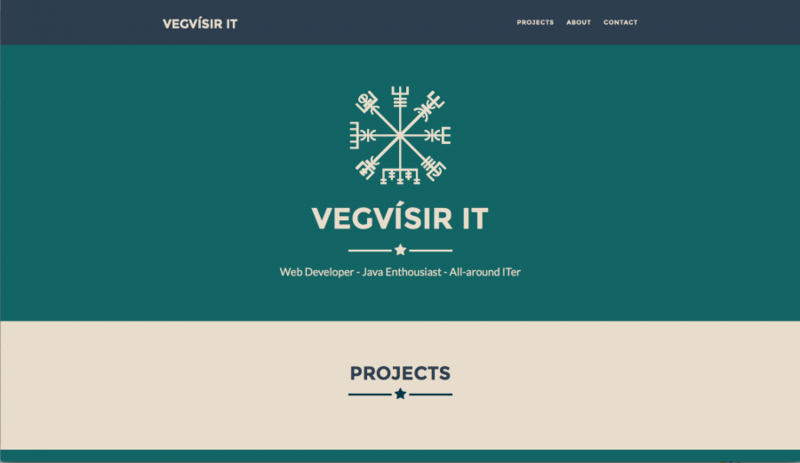 Company page made for Vegvísir IT. The site was built with maintainability in mind. Features a small gallery for my projects, contact page with form and general information about my company. Fully responsive design. Has a couchcms backend. The people at BBC Helios KwadrO Zottegem asked me to bring their old website (online in it's last incarnation since 2008) into the year 2017. 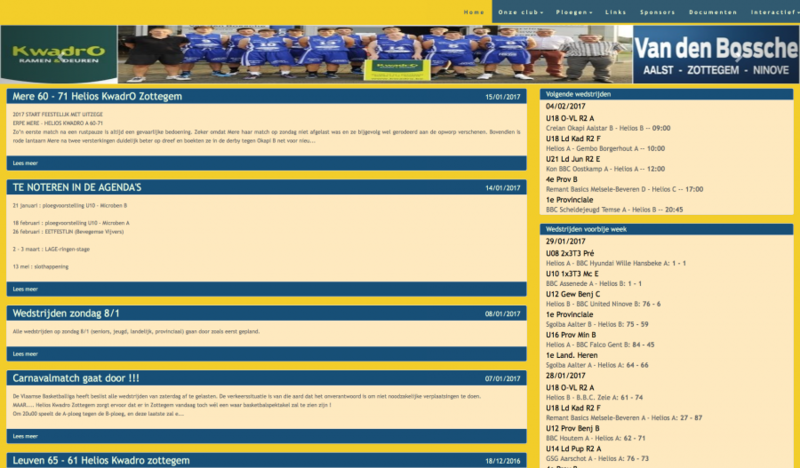 The backend is a totally self-written product running and maintaining the content on the site for over 8 years now, but the frontend really needed to be freshened up. The old site was not responsive at all, so this is fixed now. Some other minor tweaks were done to make the overall UX a better one.